Invisalign is an orthodontic option that attracts patients because the clear aligners are discreet and removable. The treatment process can address a range of orthodontic issues, including an overbite and underbite. At Desert Dental Alternatives, Dr. Bruno Lemay offers Invisalign to address bite issues and straighten the teeth. To find out if you are a good candidate for Invisalign for your overbite or underbite, contact our Palm Desert, CA practice to schedule a consultation. An overbite, or deep bite, occurs when the upper front teeth and jaw protrude over the lower arch. An overbite may be the result of your genetics. It may also be caused by the uneven growth that occurs as the result of childhood habits such as thumb sucking, prolonged use of a bottle, and tongue thrusting; these can contribute to an underdeveloped lower jaw and overdeveloped upper jaw. Many overbites can be corrected with Invisalign. Dr. Lemay will examine the severity of your overbite, and if Invisalign is a good option, he will provide specific instructions to the Invisalign technician so that we achieve the desired orothodontic changes. 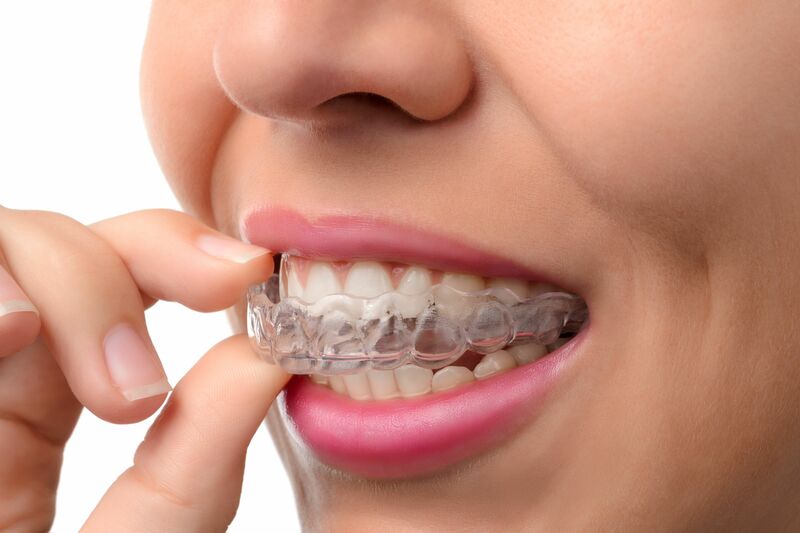 During the course of the next several months, you will wear a series of aligners. Every two weeks, you will switch to the next aligner in the series. As you do, you will notice your upper arch coming into alignment with the lower arch. An underbite results when the front teeth along the lower arch protrude over the upper teeth. Like with an overbite, an underbite is hereditary or caused by certain childhood habits that put uneven pressure on the upper and lower jaw while growing and developing. Dr. Lemay may be able to correct your underbite with Invisalign treatment. To determine if you are a good candidate, we will have you come in for a consultation. He will assess the extent of your overbite to see if it is the result of skeletal or tooth alignment issues. If Invisalign is appropriate, he will have the Invisalign lab create your aligners according to a plan specified by Dr. Lemay. If Invisalign is not a good option for your overbite or underbite, Dr. Lemay will recommend an appropriate course of treatment and refer you to a specialist. In some cases, patients need corrective jaw surgery to treat severe overbites. After surgery is complete, braces or Invisalign may provide further correction. In other cases, braces will better suit a patients needs. Braces effectively pull or push the teeth on the upper or lower arches forward or back to bring them into alignment. Braces can also address overcrowding issues and gaps between the teeth. Although most patients would prefer to have their overbite or underbite treated with Invisalign, some cases require more aggressive treatment options. At Desert Dental Alternatives, Dr. Lemay will help patients determine which treatment is best suited to their individual needs. We are committed to helping patients achieve the best possible results. To find out if you are a good candidate for Invisalign, contact Desert Dental Alternatives today.